Offering nice clean Stanley No. 60 low angle (12 degress cutter angle) block plane. 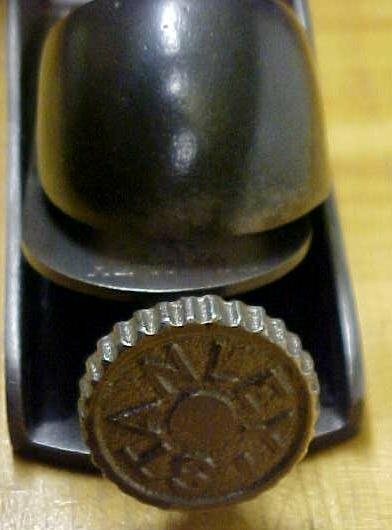 This one has the "STANLEY NEW BRITAIN CONN. U.S.A." V-shaped logo on the cutter from around 1910 era. The condition of this plane is very good, clean bare metal surfaces, some minor darkening or metal staining noted, one small area has some pitting noted on the side of the bed rail, no cracks, no rust, about 90% length on the sharp cutter, and a good working cap cover and adjustable throat, all in sound condition. The Japanning is about 70% intact, not rusty, in very clean condition. 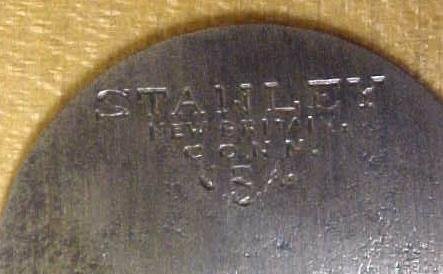 We note that the cast thumb wheel mounted on the cutter depth adjustment screw has the raised cast lettering marked "STANLEY" on it. The screw, threads and adjustment slide are just fine. This plane measures 6" long x 1 3/8 wide cutter. 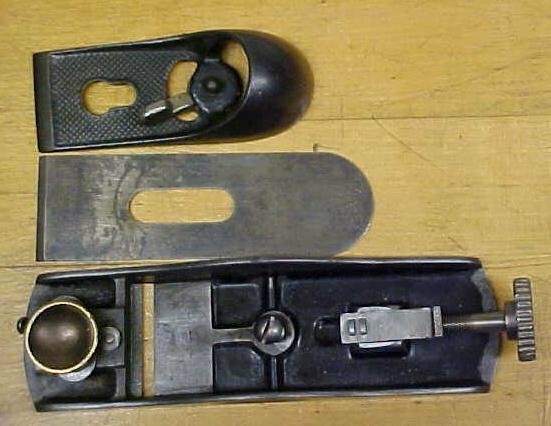 An nice clean example later version of the 60 block plane! Items Similar To "Stanley No. 60 Low Angle Block Plane"